From its early days as a site for professional networking, LinkedIn has grown into the chameleon of social networks. The focus is still on the professional world of work — as opposed to silly cat photos — but individuals and companies have many options to craft their presence on this channel. The choices for brands, in particular, are similar to the type of profiles you might see on Facebook or Twitter. Putting your best face forward is going to be more and more important on LinkedIn; people are not only investigating your company as a potential employee, but as a potential customer, too. 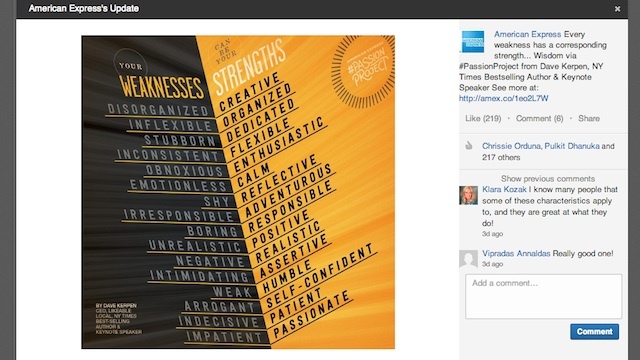 Which brands are knocking it out of the park on LinkedIn? Here are a few examples of the great work being done on the platform. All three of these companies are focusing outward with their social presences. They’re looking at bigger conversations and past histories to present a stronger, deeper picture of their brands. As one of the world’s most well-known firms for advertising, marketing, and public relations, Ogilvy & Mather knows how to present itself to the world on social media. The company has focused its LinkedIn presence on something unique among competitors: the legacy and ideas of its founder David Ogilvy. The company frequently uses his quotes as the subject of LinkedIn posts, which are usually referred to as “Ogilvyisms.” This shared wisdom links the present-day firm with its roots, and conveys important aspects of the company culture. The Ogilvyisms express the agency’s current philosophy, while making the subtle statement that any future hires should understand the tone, context, and importance of the company’s history. Another main component to Ogilvy’s LinkedIn presence is that it highlights some of the best work across its offices. By including its photo and video campaigns, the company has found a way to include striking visuals of its portfolio on its profile. 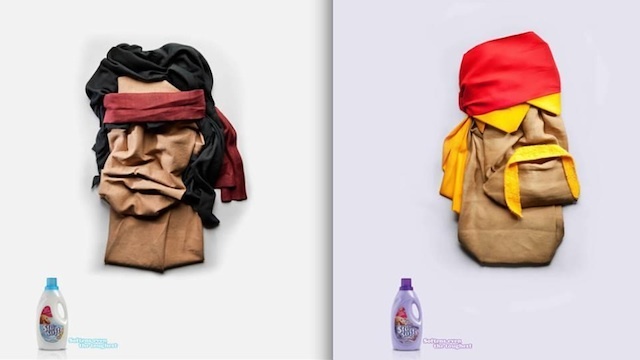 This is a great example of how to show rather than tell what the brand is all about. A global company needs to have a global social media presence. Accenture perfectly represents this by creating additional profiles for its many different branches across the world. Not only does this make it easier for fans, customers, and employees to find the most appropriate channel for engaging with the company, but it allows the brand to have many different, specialized presences online. All of the different channels focus broadly on topics such as business, management, and leadership. However, each national branch has a different set of executives as the face of the business — and a different set of subjects that are most pressing to its target audience. 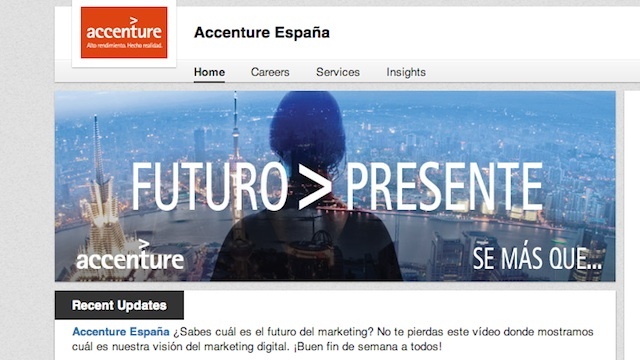 Plus, with updates in so many different languages, it proves Accenture’s status as a truly global brand. Along with country-based LinkedIn Business Pages, Accenture has created unique profiles for some of its noteworthy company divisions. From Consumer Goods, to Software, to P&C Insurance, Accenture’s diversification of its many arms on LinkedIn helps create a stronger sense of community from one division to another. The brand employs about 275,000 people across the world. Rather than lump all those thousands of people into a single LinkedIn affiliation, the company’s approach offers the people within specific teams to have a better sense of fellowship with their peers. That’s an important element to keeping your existing employees strong, and it’s an attractive quality for job seekers. For a well-known brand, the focus of social media may be less about attracting customers than about conveying a brand message. American Express is a credit card and global services company with a widespread reputation. Rather than take space on LinkedIn discussing its available products and tools, the company has devoted its Business Page to more compelling resources about broader business topics and its company culture. American Express has also taken an interesting approach by including hashtags in its status posts. Even though LinkedIn does not currently support clickable hashtags, this still helps offer continuity to the brand’s other social programs. For example, several recent updates featured the #PassionProject hashtag, which American Express has used across Twitter and Facebook. The program is aimed at encouraging people to pursue the ideas and plans that they are excited about. The company is also offering money to people who need extra funding to make those dreams come to pass. American Express has even shared news stories, links, and images that encapsulate the passion projects of some top business leaders. Know any other brands doing a great job with LinkedIn? Let us know in the comments.